Since 1977, AMARK has been manufacturing precision parts and assemblies to achieve exacting tolerances in a multitude of industrial and commercial applications. Our components are used world wide. AMARK has CAD/CAM capabilities to do finished drawings to your specification, with the ability to transfer finished drawings to you by disk, internet, or hard copy. AMARK also keeps an extensive stock of materials on hand for new, rush, and repeat production. Our in-house computer network allows us to schedule production of all work and track jobs throughout our plant. This ensures accurate completion times and allows us to maintain permanent records of all jobs produced. AMARK maintains a complete grinding department which includes O.D., I.D. surface grinding, honing and lapping equipment for very close tolerance and finish requirements. We provide in-house heat treatment with a protective atmosphere furnace for precision and fast turn around requirements. Our capabilities also include MIG, TIG, and stick welding of all types of materials (aluminum, tool steels, stainless, and high strength materials). 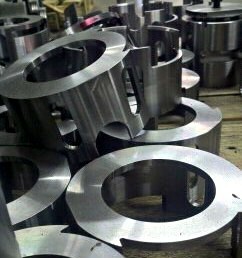 AMARK has CNC lathes and machine centers to help with your medium run precision production work. With our CNC, EDM, Wire EDM, and CNC Machining centers, we have the ability to produce complicated mold inserts for the die-cast and plastics industries as well as metal stamping dies. We inspect parts throughout production and can accommodate special inspection requests by customers. Our strict quality control procedures are carefully adhered to through the marking, packaging, and shipping processes as well. Centrally located in Northwest Arkansas, we have a professional staff with many years of experience in the various aspects of manufacturing precision products using the latest machining techniques available. We are open Monday through Friday from 7:00am to 4:30pm Central Time.